Moazzem Hossain, a giant of Bangladesh's journalism, died at the age of 73 on August 01. He will be remembered for wisdom and professional integrity with which he carried out his journalistic duties and affection with which he treated his friends and colleagues. His career as a journalist spans over 40 years. He was a pioneer in economic journalism in Bangladesh and also described as the doyen of economic journalism. 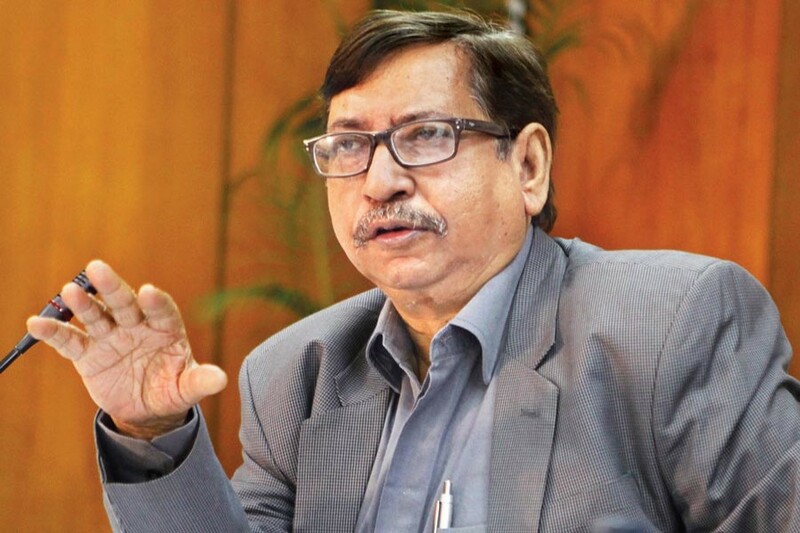 He was the founding editor of The Financial Express, a paper came into being due to his relentless efforts to bring a out a financial newspaper at his own initiative In effect he laid the foundation of economic journalism in Bangladesh. He made The Financial Express the principal financial newspaper in the country. In his journalistic endeavour he exhibited an encyclopaedic knowledge of the issues at hand with singular understanding of the relationship between the journalists and the readers. He had an uncanny feel about the political and economic landscape of Bangladesh. He was equally forthright in assessing that landscape. He was extremely knowledgeable and eloquent, fastidious and fussy. He never mastered the art of mincing his words. He was an enormous presence in the newsroom and commanded great respect. He was a fighter and would plug on even when he was hospitalised with grave illness. He told two friends visiting him at home just before he went to Singapore for further treatment that the visit would not be the last for them to see him and they would meet again. His knowledge was wide, his heart was big. With his formidable knowledge and direct manner, he could appear intimidating to many, in particular to his younger professional colleagues, but behind that façade was a kind, gentle soul. He was truly larger than life. He was always a delightful company. He had so many stories and I had so many laughs. Away from his newsroom in a tea house or a restaurant he was a delightful company. Moazzem would be fondly remembered by all who worked with him and got to know him well. I am a fortunate one among them and can claim him as a great friend. I met Moazzem in university in our first year and both of us were enrolled for the same undergraduate degree programme. We were classmates. We also shared our dormitory life in the same hall of residence, Salimullah Muslim Hall. Our campus life was intensely divided on political lines broadly between the left and the right. We both were on the same side of politics and that made our bonding even much stronger. The campus life was politically very confrontational and violent. In that environment we were also true comrades. He was later in his life deeply dismayed by many at the leadership of the student movement who during that period compromised their political belief and were co-opted by political forces contrary to their political orientation at that time. We spent long hours at the University canteen and the Public Library canteen drinking cups of tea as well as at the S.M.Hall canteen. I always look back with fond memory of my life at Dhaka University and greatly appreciate getting to know Moazzem so well and also as one of my closest friends. After University, Moazzem and I remained good friends. On completion of our degrees I worked and lived in Dhaka but Moazzem for a short period worked and lived in Pakistan but came back to Dhaka in 1970 and started his career as a journalist which he continued until his death. Between 1970 and 1974 both of us lived in Dhaka close to each other and used to spend a fair amount of time together. I left the country at the end of 1974, initially for two years but eventually permanently. Moazzem and our common friend Achintya Sen (then working for the weekly Holiday) were the only two friends who came to see me off at the airport. But we always maintained contact with each other and would meet Moazzem every time I came to visit Bangladesh and used to spend long hours discussing both politics at home and abroad and about friends. He would also discuss his encounters with the corporate world which he got to know well not only as a journalist but also as a director member of various financial institutions and industry bodies. He found the corporate world deeply mired in corruption and could not see any light at the end of the tunnel. It was during my home visit in December 2015, Moazzem put forward to me the idea of venturing into the world of journalism. I was already leading a retired life. To me it almost sounded like an idea to reinvent myself from the world of academia to the world of journalism. I was inspired but also rather cautious to venture into this new world. He tutored me about dos and don'ts in writing a feature article in a news paper and continued to press on to agree to his suggestion and which I eventually yielded to. In a way he took me under his wings in venturing into the whole new brave world of journalism. This is how my new career in the world of journalism has begun and I owe it to Moazzem alone. I will forever be grateful to him for this. He was a kind friend who would stand by you when you needed some one to be there. So sad to see him gone. Moazzem was a great man and a wonderful friend, and, may I dare say, a colleague also. I will have unlimited memories of Moazzem. I and other friends all lost a very dear friend and a very wonderful human being. There is an endearing delicacy around death and languages and words become important in conveying our sense of loss. Moazzem lived his life wonderfully and achieved so many things and also gave selflessly to the country and the society he lived in. Moazzem may be gone but he will forever remain in our memory.